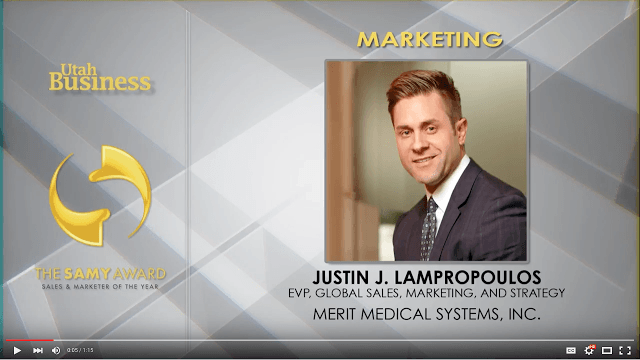 Executive Vice President of Sales and Marketing for Merit Medical Systems has been recognized by Utah Business Magazine as a Sales & Marketer of the Year. Like a true engineer, Jason drafted a diagram of his work. Merit has been a great place to start my career. 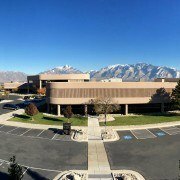 I graduated from the University of Utah in Biomedical Engineering in 2010. My education was the catalyst for my work in the medical industry. I studied advanced mathematics and physics, but my major also focused on engineering principles related to biology, chemistry, biomechanics, biomaterials, etc. It provided me with a solid foundation and Merit hired me out of college as an Engineering Tech. I worked hard in this position and was promoted to Manufacturing Engineer followed by the promotion to my current position, Engineering Project Manager for the last 3 1/2 years. Engineering Project Manager. I have the responsibility to lead multidisciplinary teams to achieve specific project objectives. This involves initiating, planning, executing, monitoring, controlling, and closing projects. Over the past few years, I’ve been responsible for managing multiple product acquisitions and integrating the products into Merit. I am also responsible for product transfers, new product development, product improvements, product design and material changes. My part in Merit’s vision. 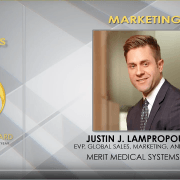 Merit’s vision of being the most customer-focused company in healthcare, has a clear influence on my work. A great example of this would be after the acquisition of the Centros hemodialysis catheter. Merit received multiple requests to include a stiffening stylet to facilitate over-the-wire procedures. My team and I worked with the customers to determine the specific needs, developed prototypes, received feedback, made improvements and repeated this process. The end result was the stiffening stylet currently sold today. 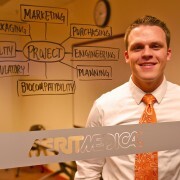 My work at Merit is always influenced and focused on fulfilling the needs of the customer. How my work makes a difference. When I was younger, my grandpa had end stage renal disease and was required to undergo dialysis treatment. I was very close to grandpa and when the doctors only gave him a few years to live, it was really hard for me personally. However, due to the innovative medical devices (like Merit’s Centros) and outstanding treatment, he lived for seven more years. Knowing the work I do at Merit every day improves the lives of others drives me to develop and manufacture the most innovative and highest quality products on the market. Living life to the fullest. When I’m not working, I spend all of my time with my family in the outdoors enjoying life. My wife Ashlee and I have two kids, Milo 4-year-old boy, Kaylee 2-year-old girl, and #3 (boy) is due in March. We spend a lot of time in the outdoors; camping, fishing, riding 4 wheelers, and boating. Just last summer, we spent 32 nights under the stars camping as a family. My kids love the outdoors and could play in the dirt all day.